While referred to as ‘The Scottish Play’ in theatrical circles, Shakespeare’s Macbeth, a tale of ruthless ambition and the rise and fall of a tyrant has never been adapted for, or performed in, Scots. Robin Lorimer’s new version, which gives the Bard’s most famous work a Scots tongue, strips back the play to its darkest and perhaps, most haunting and eerie state. 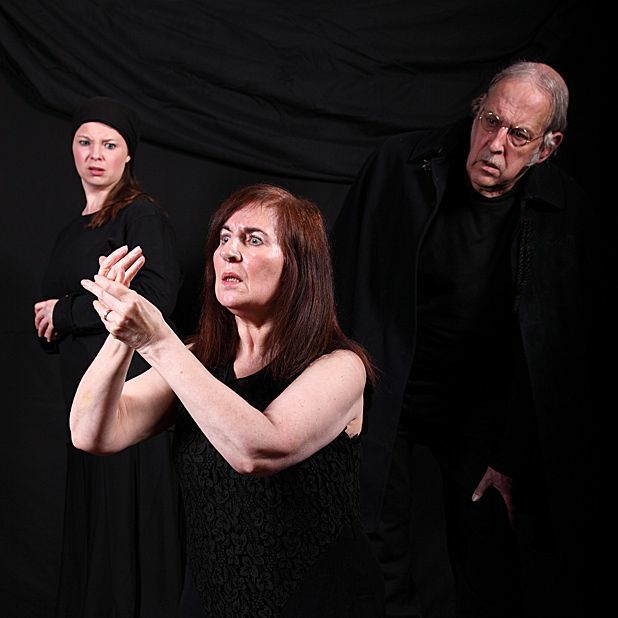 Directed by Mike Duffy, MacBeth in Scots is a dark and altogether different version of the play. With the emphasis on the more paranormal and magical aspects of the original piece, this production excels in creating an almost timeless exploration of the drive, the desire and the downfall of a paranoid king. Featuring basic staging and an unsettling use of SFX and lighting, the real crux of this show is its allusions to the three witches, through the use of their power, their magic and their premonition, which creates a more authentic and more involving production. Sinister, yet simple, MacBeth in Scots takes a much-needed new look at a classic. St Ninian’s Hall, 06120 860 802, until 18 Aug, 7:30pm (matinee 18 Aug, 2.30pm), £10 (£8). Robin Lorimer’s powerful translation into Scots, a rich brew of English and Scots words, brings to vibrant life Shakespeare’s bloody tale of ambition, treachery and downfall. In 1995 Edinburgh Theatre Arts presented selected scenes to enthusiastic reviews. ‘Scots tongue adds pride and passion’ (Edinburgh Evening News).